What the heck is Sun Country on the Murray, you might be wondering? We recently discovered that it's a gaggle of quintessential Aussie towns dotted along the Murray River, bursting with natural phenomena (Inland beaches? Tick. Cactus fields? Tick.). You know, the kind of obscure places with names that are fun to say out loud: Mulwala, Barmah, Tocumwal, Barooga. But we know you're not here for a geography lesson. You're here for the mouth-watering food, the must-do activities, and the insider tips that will turn a regional roadtrip into a totally enviable holiday without even leaving the state! We trekked our way around Sun Country on the Murray so you know exactly where to go to gather up the strength for all those outdoorsy activities you'll be getting up to in between meals. Built by explorer Hamilton Hume (yes, that guy the highway is named after), Byramine Homestead is a 174 year-old farming property half way between Yarrawonga and Cobram. Go here for a little history lesson and tranquil views, but stay for the Devonshire tea featuring the fluffiest of homemade scones and pretty-as-a-picture antique teacups or a hearty, meaty Ploughman's lunch. Once well fortified for some tippling, shuffle on over to Byramine's outback pub-style brewery hall to quench your thirst. They make six types of beer, an apple cider, a lemon lime cider, a boozy ginger beer (made just the way Granma Peachey likes it) and small-batch wine on site. Both Lake Mulwala and The Junction at Bundalong, near Yarrawonga, are ideal spots for putting those boat shoes to good use, or better yet, grabbing your water-skis and hitching a ride across the water’s surface. With heaps of centres providing equipment hire and lessons, including Action Bike and Ski who can lend you everything you need for an incredible day out, it’s also a fantastic area to visit if you’re in need of an excuse to learn a new skill. Olympic grade water-skier in a weekend? No problem! So the plants in this nursery probably have more Instagram followers than you do. How? In part it is probably thanks to the slew of fashion and snap-happy types who flock to Cactus Country in Strathmerton to use their spiky, desert landscape as a backdrop for photoshoots. 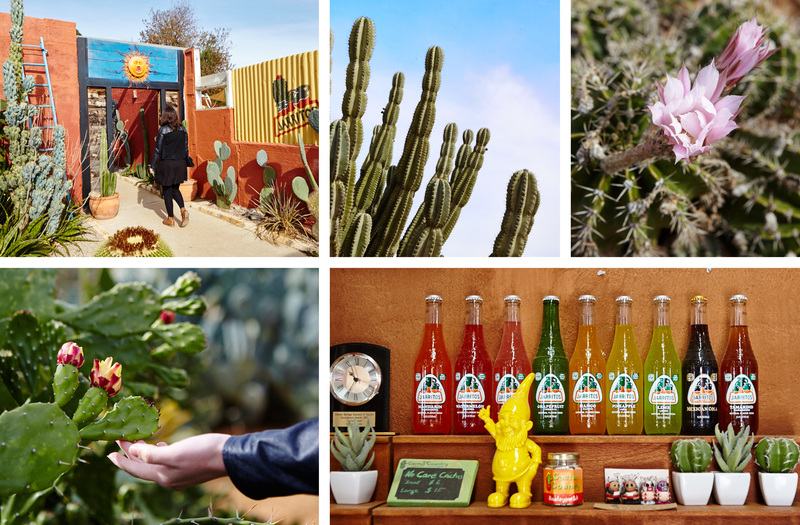 Plant nerds will find collections of weird and wonderful cacti and succulents from North America, Mexico, South America and Africa, housed in the family-run gardens here, some up to 50 years old. There are big ones, small ones, fluffy ones and pointy ones; but we can't tell the difference between the latter two just by sight and don't recommend you try to find out either. We do however recommend embracing your surroundings by partaking in an adult margarita slushy and a big old slice of cactus cake. Then have some kitschy fun with Cactus Country's collection of sombreros. Who knew you could find a happily vegetarian and vegan-friendly cafe in Strathmerton's neck of the woods? It's rather unexpected, especially in the surrounds of a renovated 1920s country cottage that your nanna would kill for. At Cafe 3641 in Strathmerton, they say they pretty much make up what's on the menu based on what fresh produce they've got in that day. There are comforting cakes, frosty shakes, piping hot pies, and a major herbal tea selection to be had here. If you don't get distracted by the baby chickens, try to score a spot outside among the rose bushes. They are known for their sell-out high teas here too, complete with crocheted doilies and fancy crockery. Platter alert! Monichino Wines in Katunga serves up the best-looking, best-value charcuterie board of recent memory. It's piled high with plump capers, silky pate, juicy olives, and all of the meat. Add a bottle of their vividly-coloured rosé and you've got a greedy lunch for two all sorted. We think the 'Rose Petals' pink moscato is pretty delectable too, however, if sweet's not your thing, there are over 20 more wines to sample at the cellar door. You'll owe your designated driver a favour for resisting in the face of such temptation. Shout them their share of charcuterie. Barmah National Park, which runs along the border of Victoria and New South Wales, is home to some incredible examples of native Australian plantlife, as well as all manner of creatures living in the wild. A standout has to be the inland beaches dotted amongst the greenery, as well as an impressive number of river red gums which make for yet another stunning photographic backdrop. 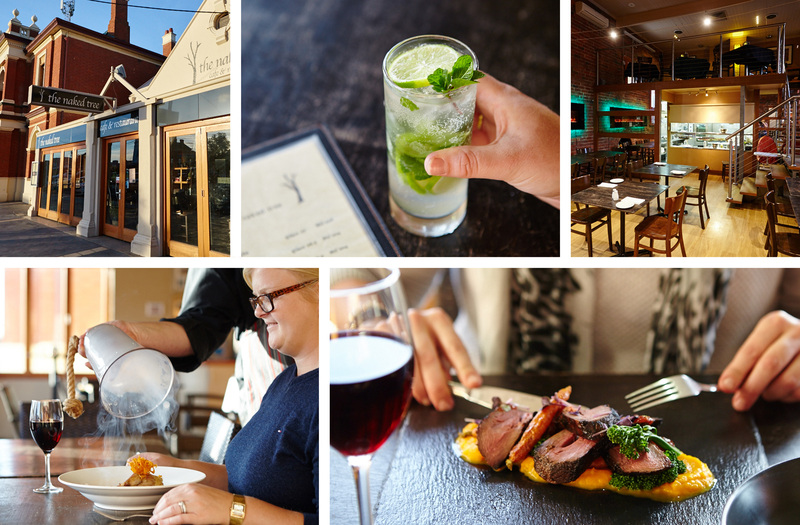 The Naked Tree might sound like a hippy boutique that peddles lotions and potions but it's actually a no-nonsense cosy cafe and restaurant conveniently located on the main street of the Yarrawonga township. The menu relies on comforting meat with veg pairings that are a big step above what we'd be able to whip up at home. Post-dinner, it's painful deciding between the deconstructed Bailey's cheesecake or Naked Tree's freshly baked chocolate cookies sandwiched with ice cream and smothered in fudgy sauce. So just eat both. We adhere to the principle that you should always use two cloves of garlic even if the recipe you're making is "how to cook one clove of garlic". If you agree, you'll be happy to stumble upon Katamatite Garlic, a cute permaculture farm that seems straight out of a story book. Home to the Eddy family, including two daughters, their chocolate border collie, a reluctant cat, and a bunch of chickens, the farm produces pickled garlic (something new for your next cheese board), sundried garlic, and garlic jelly (so good with a roast). Katamatite Garlic, like a few other tasty stops on this list, is part of Sun Country's official Farm Gate Trail. The trail is totally worth looking up if you want to DIY your own food odyssey. There's an old sitcom that proposes "the olive theory": that the perfect couple is made up of one person who likes something (in this case it's olives) while the other doesn't. Personally, we don't want to be friends—let alone get romantic—with anyone who's not 100% on board with their salty, briny deliciousness, and we've found our people at Rich Glen Olives in Yarrawonga. Not only can you buy olives in bulk (Think of the salads! Pizzas! Dirty martinis! ), but there is much serious taste-testing to be done of their other house-made olive-y goods. Think oils headily spiked with citrus and herbs, savoury olive jams and marmalades, and spicy things to dunk olive-oil anointed chunks of bread into. Rich Glen also stocks olive-infused beauty products so you can get the good oil both inside and out. Don't give us this newfangled, coconut oil nonsense. Olive oil is still King around here! While on this trip, we stayed at the Yarrawonga Hotel, a fantastic boutique venue that won't break the bank. Melbourne’s an incredible city, but sometimes we all need to get out of town for a weekend. The Urban List has partnered with Visit Victoria to bring you our Get Out Of Town! 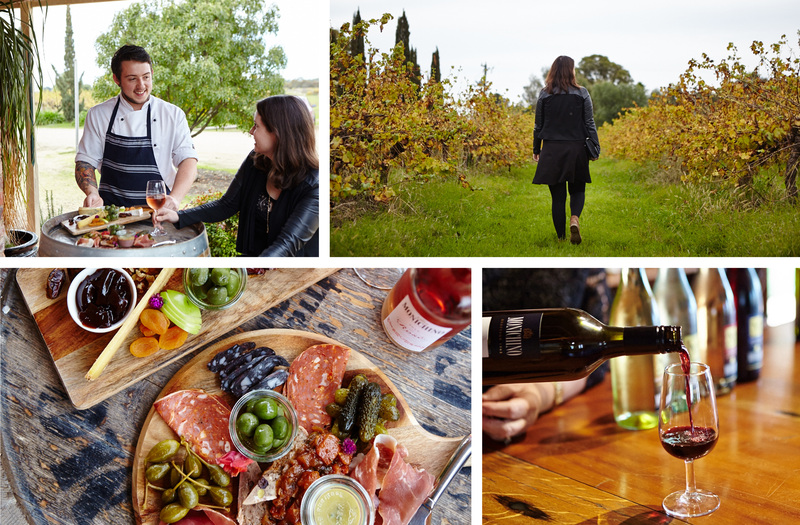 series — the ultimate guide to Victoria’s regional gems. 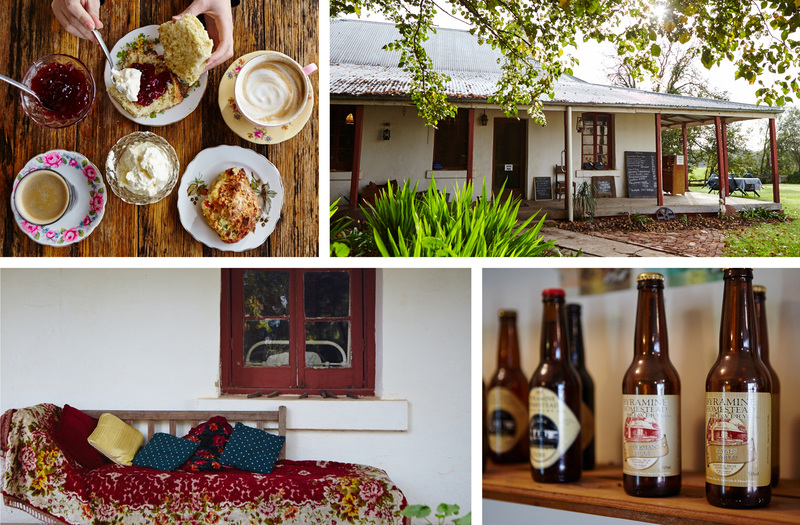 For more ideas about where to wander in Sun Country on the Murray, click here.